I just recently blogged about a Mackinac Island engagement session we had this past summer and it got me thinking to the amazing weddings we photographed there this summer as well. 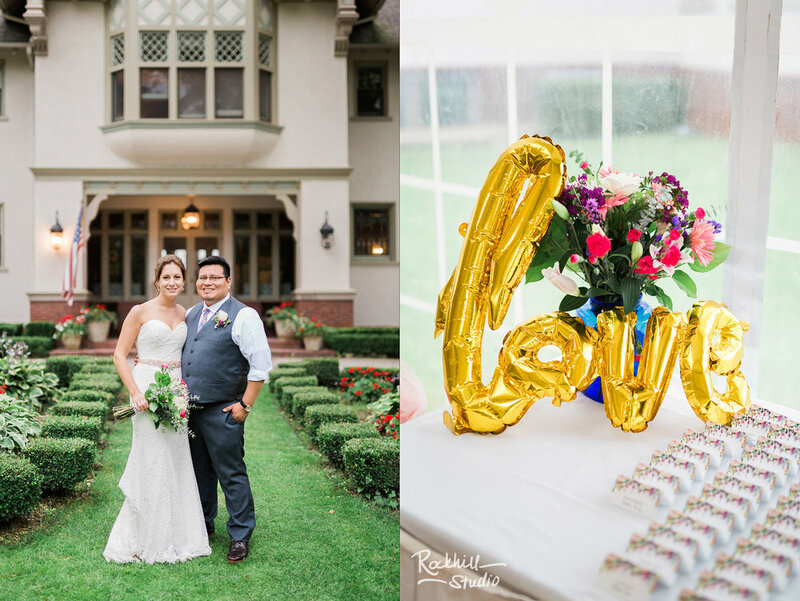 So obviously I need to share some of Sarah and Padric's gorgeous wedding day!! Their wedding was held at the amazing Inn at Stonecliffe and made a beautiful backdrop for the wedding festivities. All day threatened rain, and we were prepared with our umbrellas, ponchos, and everything we could need. If you've never experienced Mackinac Island for yourself, it's very unique as there is no motor vehicles on the island (besides ambulance/firetrucks/etc). So, if it's raining, you can't just jump in your car and wait it out. To get to the inn, we had to take our bikes (you can also take a "taxi" aka horse and carriage) so we had to be prepared for a downpour. But, THANKFULLY, we had a very brief sprinkle and...that was it! 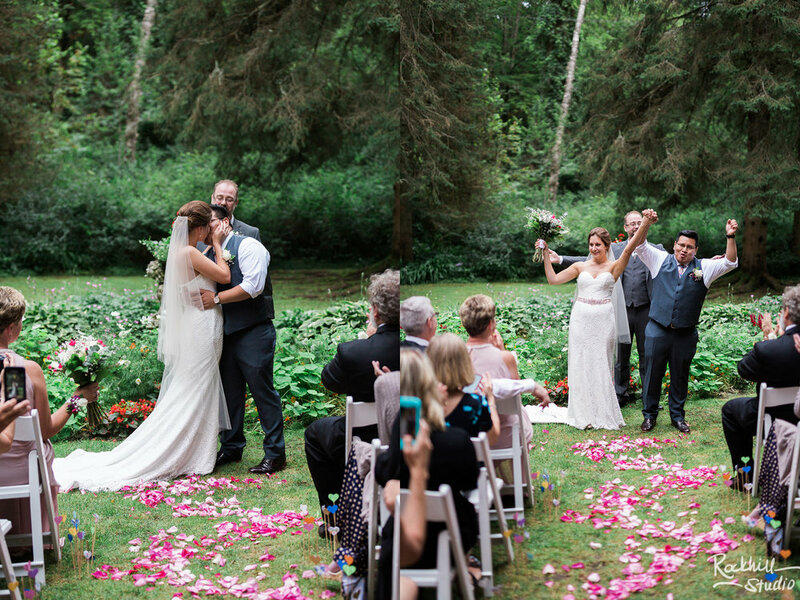 I was so glad for Sarah, who had her heart set on being married at the Inn's outdoor grotto space. 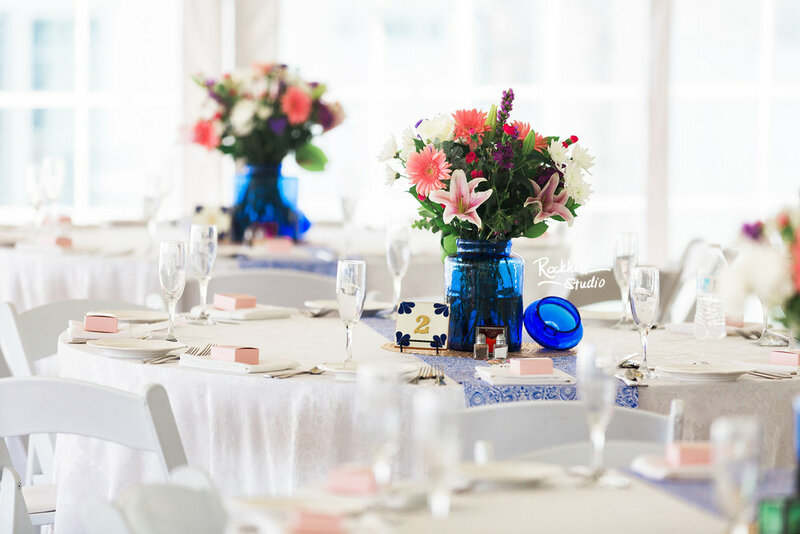 A favorite of mine from this wedding was the colors. 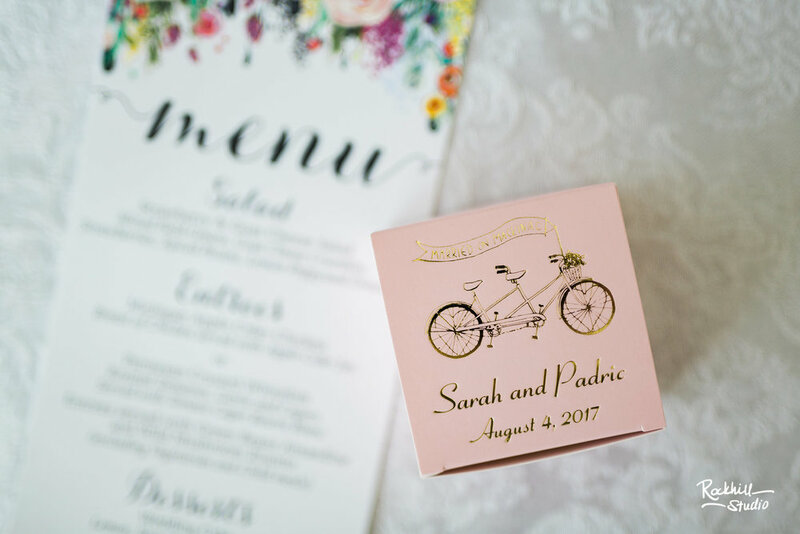 Typically a bride may choose a few different colors for her wedding palette, but Sarah chose them all. 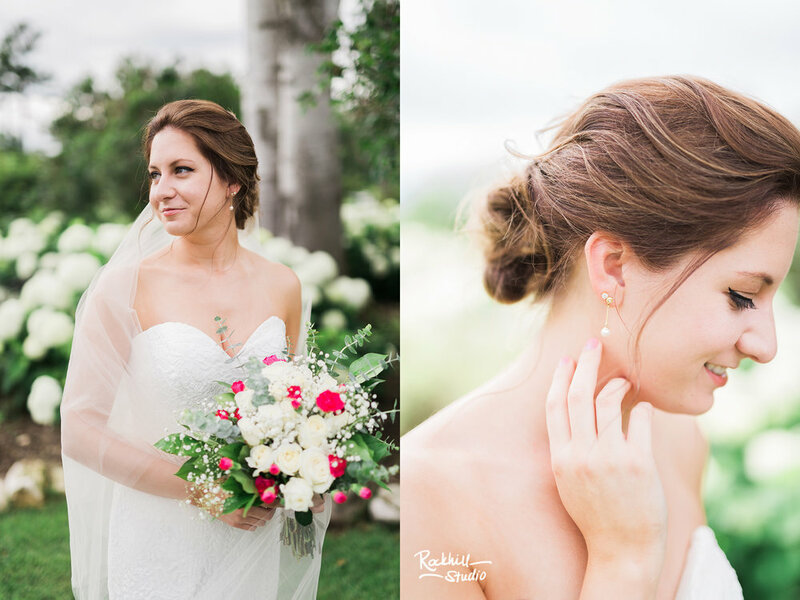 Bright, beautiful, bold...it was amazing to photograph and I'm still obsessed with the details!! And their wedding cake has got to be one of the most beautiful cakes I've ever seen. A total favorite!! 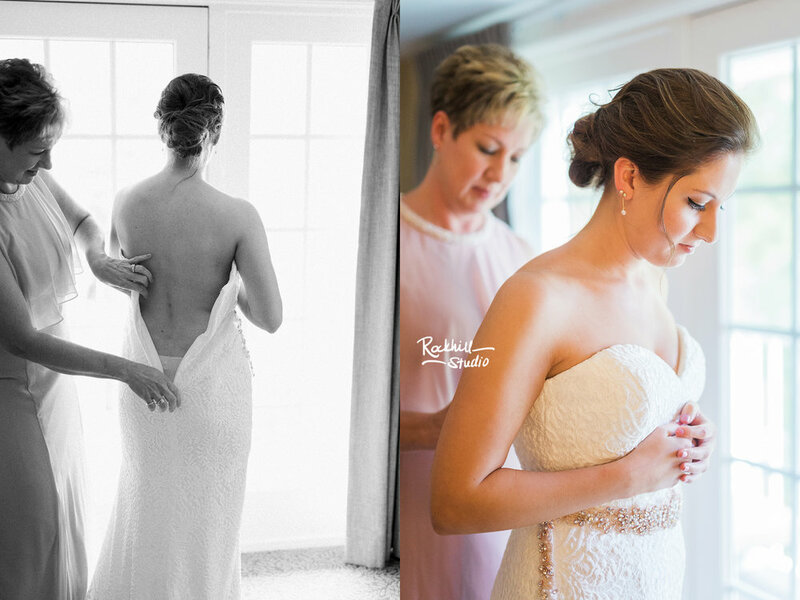 I have to comment about the below picture on the right for a moment...every wedding ceremony is unique to each couple. 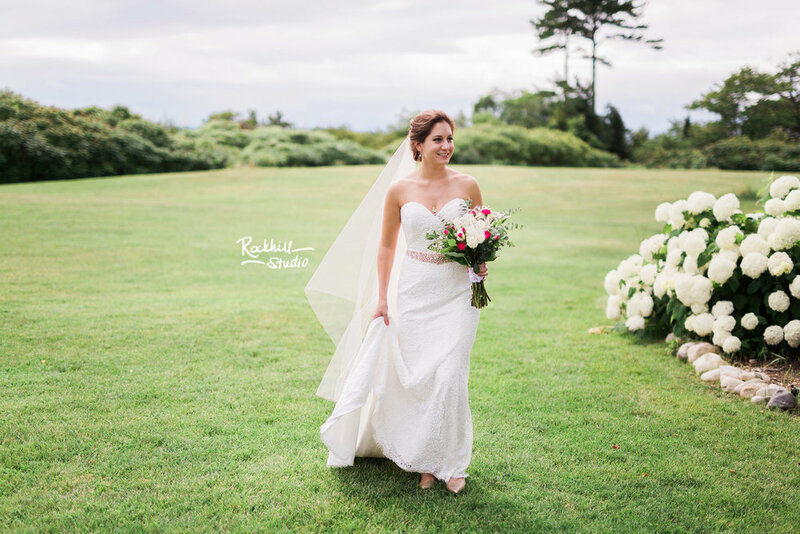 True, most of the time you have the standard format of vows, exchanging rings and the like. But there are many variations than the traditional unity candle. Some couples do sand, some do a tree planting (which I really love! ), and another trend we've been seeing is a "love letter box ceremony". There are a few different ways to do this, but the main point of this box is for the bride and groom to write a love letter to each other, and seal it inside with a bottle of wine only to be opened together at a point of marriage, say at the 10 year anniversary mark, where you enjoy a glass of wine together and read your letters about why you fell in love with your spouse. Some add that if you ever are in a tough spot, you may open the box and re-read the letter to remind you of that love. 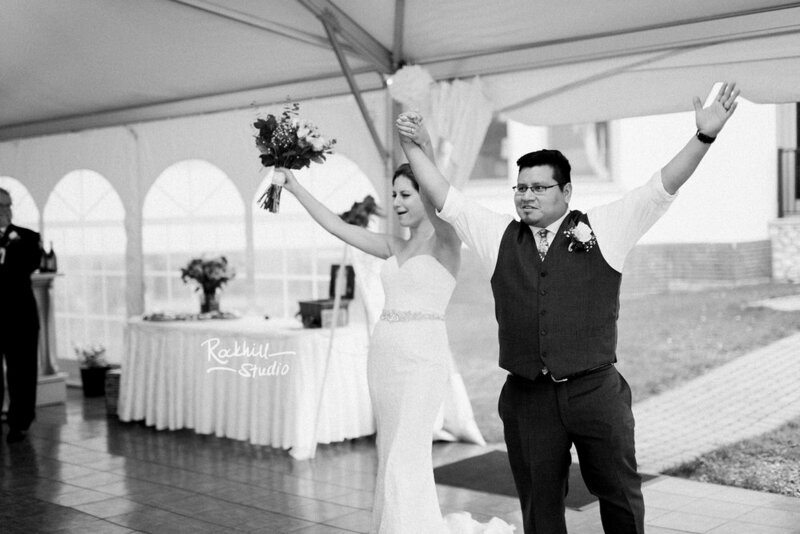 I will always remember from my own wedding how emotional it is walking down that isle. It's a huge step and a very beautiful one, but its emotional! 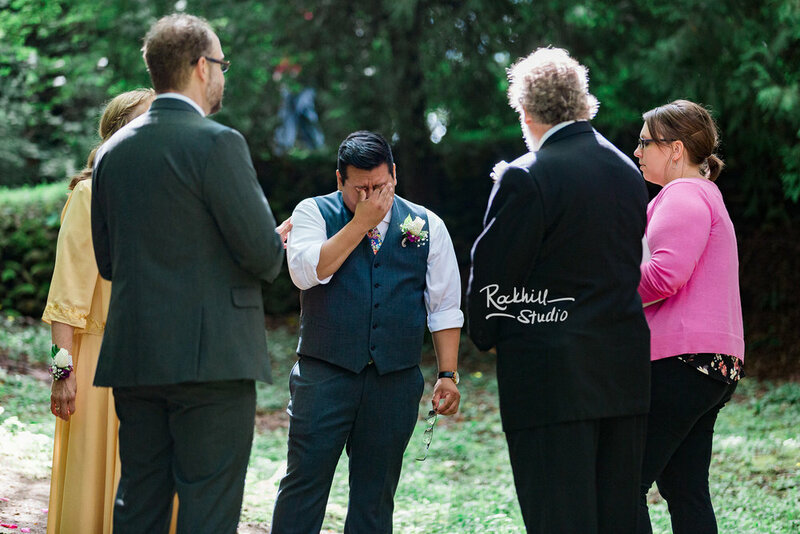 The love Padric felt for his bride showed in everything, and the pre-wedding emotions had everyone misty eyed. After the ceremony and receiving line, we tried to work some family portraits in, but it DID sprinkle a little bit here, so we moved on to the after ceremony events and thankfully the rain was brief! It's Mackinac Island. So no wedding is complete without a carriage ride!! After the ceremony, the couple had a special ride to a few spots on the island for more picture taking...and to have a few minutes to themselves on the ride there! Ok, you guys. THIS CAKE. THIS C A K E. Its so bold and gorgeous. If I remember correctly, Sarah found something similar on Pinterest and much of the wedding decor and colors were based off of this. I want one of these for myself!! The desserts didn't just stop at the cake, they continued on thru to the ice cream bar set up for the guests. 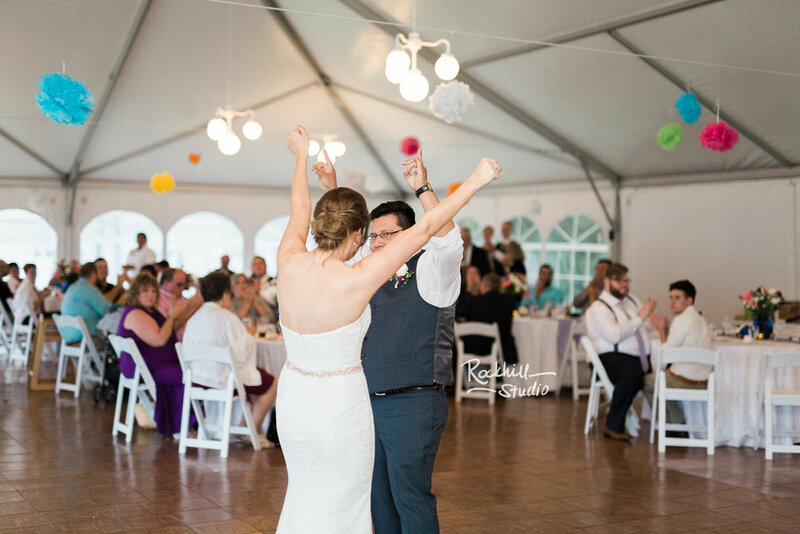 After all the delicious food and desserts, the dancing portion continued, and this couple had the best of the first dances! !